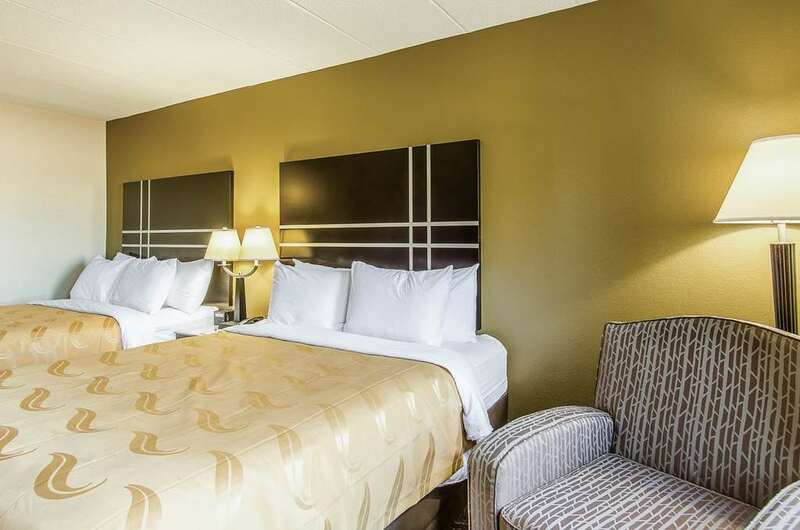 Get more value for your hard-earned money at the Quality Inn Middleboro-Plymouth hotel in Middleboro, MA near the Edaville Railroad. We are off Interstate 495 a short drive from Boston near The Alley Theatre, Mayflower II, Robbins Museum of Archaeology, The Oliver House Estate and Plymouth Rock. Value-packed amenities include free full breakfast, free WiFi, a seasonal outdoor pool, exercise room and guest laundry services. All guest rooms offer a microwave, refrigerator, flat-screen TV, coffee maker and hair dryer. Earn rewards with every stay with our Choice Privileges Rewards program. Pets Are Allowed. 25.00 USD per pet, per night. Maximum 2 pets per room.